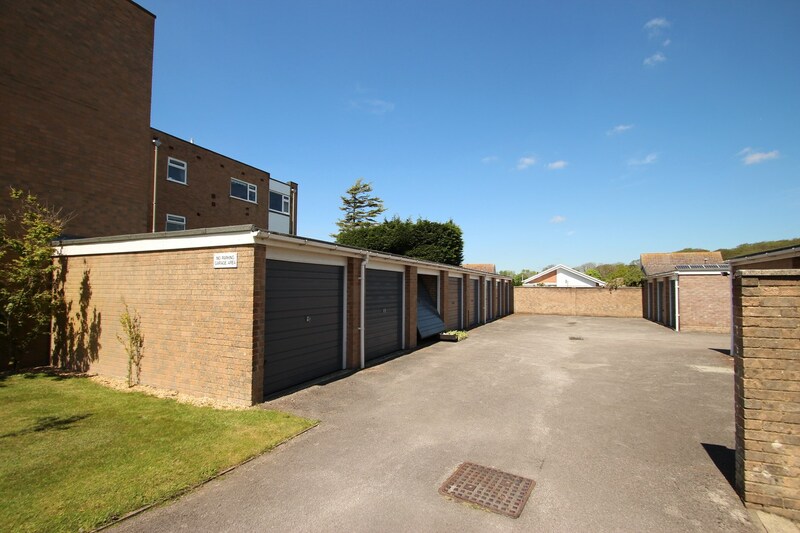 A spacious two double bedroom second floor flat, situated in a sought after block in Mudeford and is now in need of updating internally. 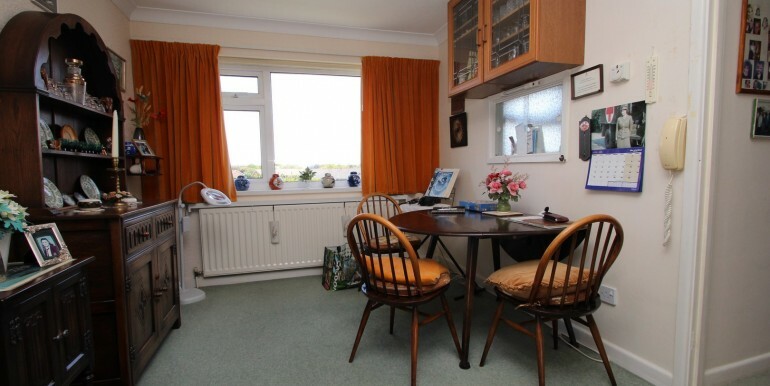 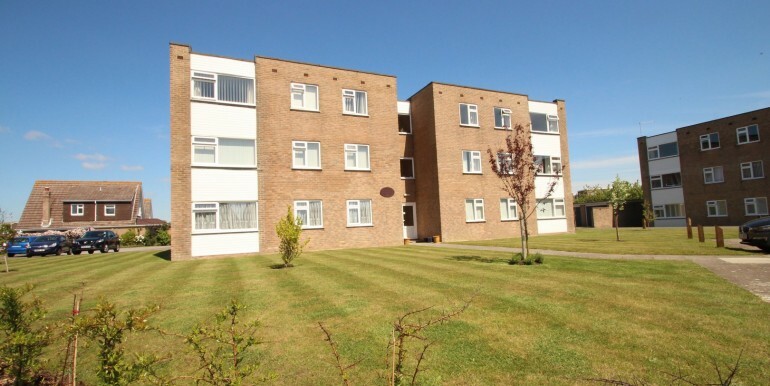 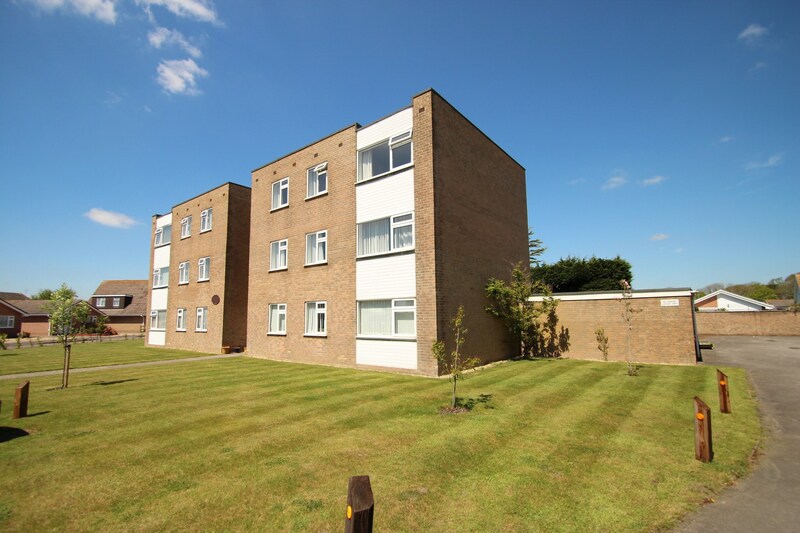 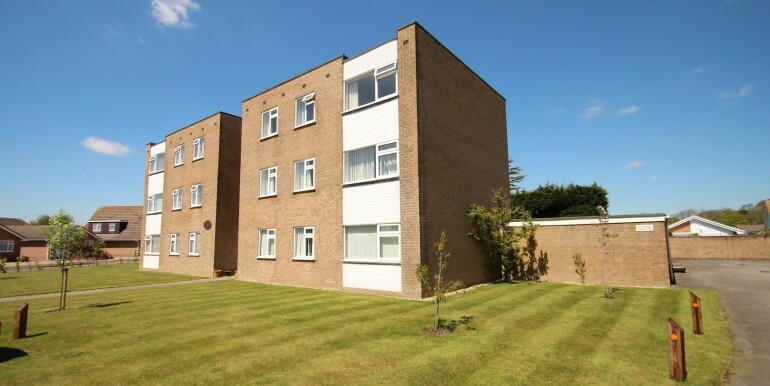 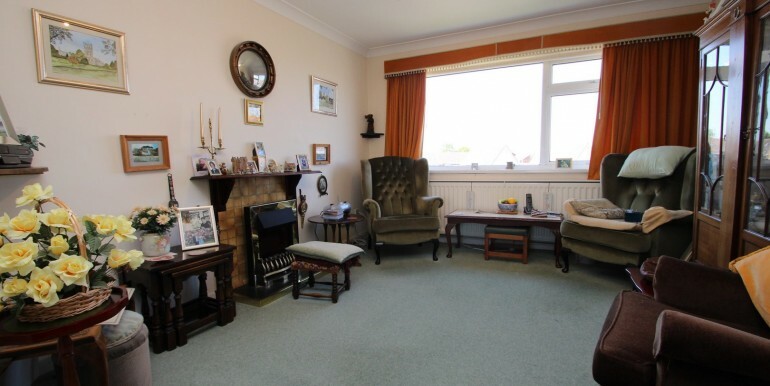 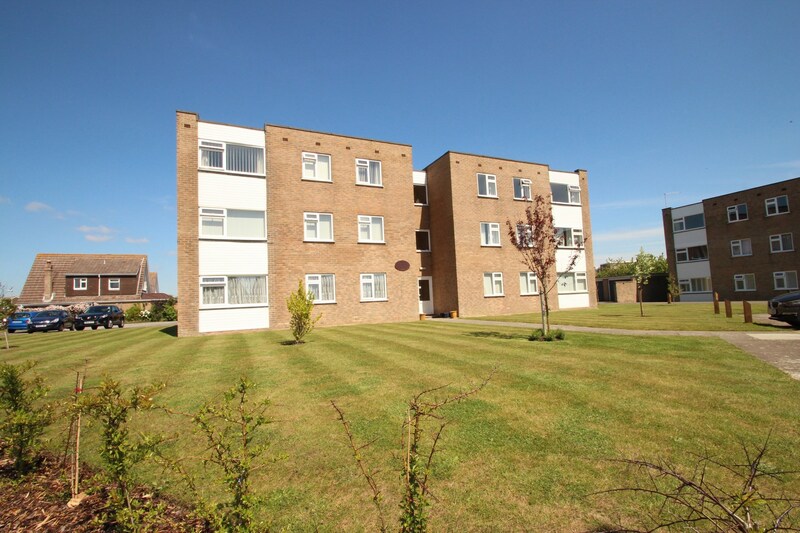 The flat stands on beautifully manicured grounds, has a garage in a nearby block and has no onward chain. 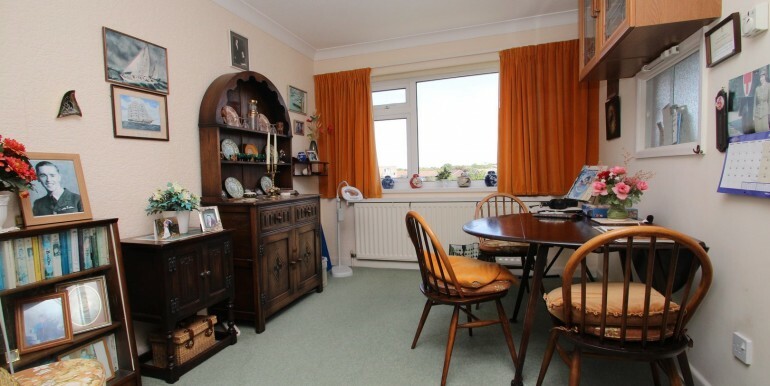 A solid wooden front door leads from the communal hall through to the hallway of the flat. 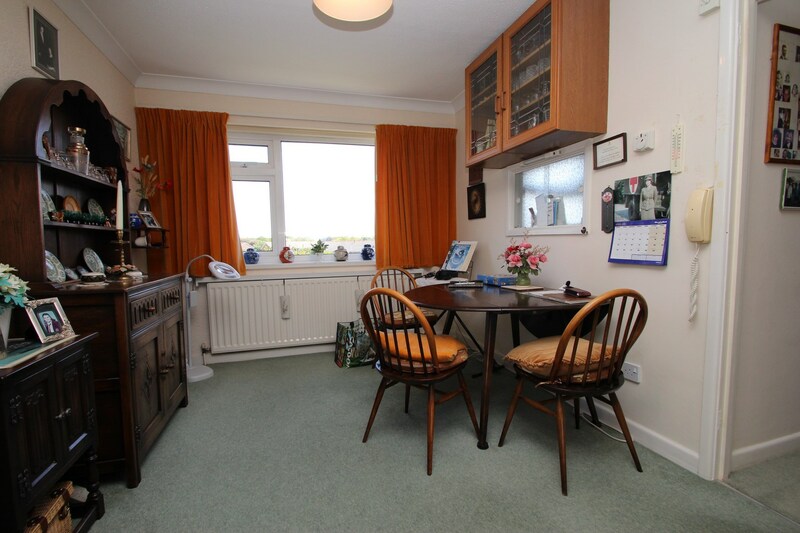 Off the hallway is a cloaks cupboard, a further storage cupboard houses the ‘Vaillant’ boiler, doors lead from the hall through to all rooms. 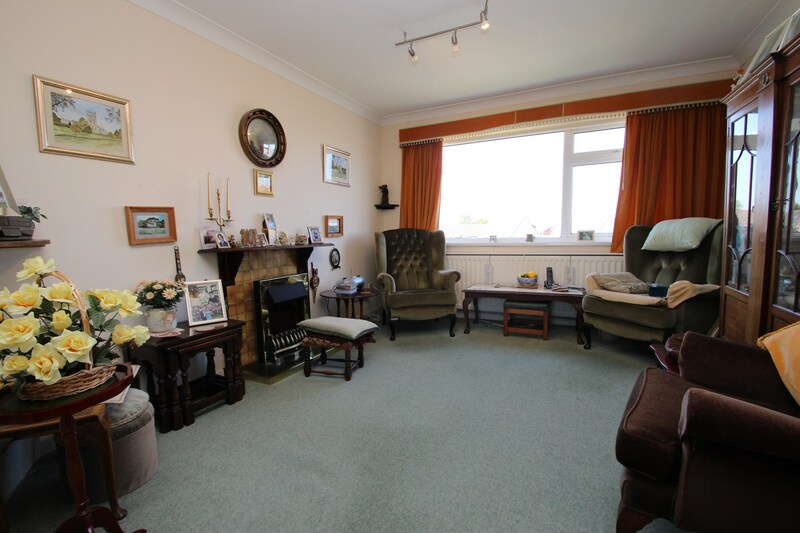 The lounge / dining room is generous in its size running the width of the block and benefits from double aspect windows which offer elevated views to the front and rear elevations. 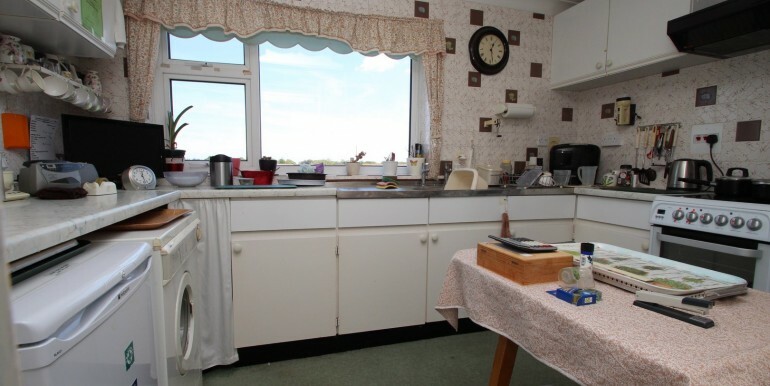 The kitchen has a good range of wall mounted and floor standing units surmounted by work tops, there’s an inset stainless steel sink unit with mixer taps and drainers to both sides, space for an under counter fridge and freezer, space and plumbing for a washing machine, space for a cooker, the kitchen enjoys elevated views to the rear. 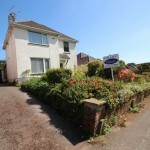 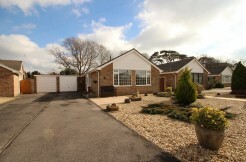 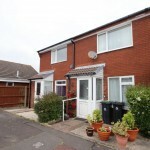 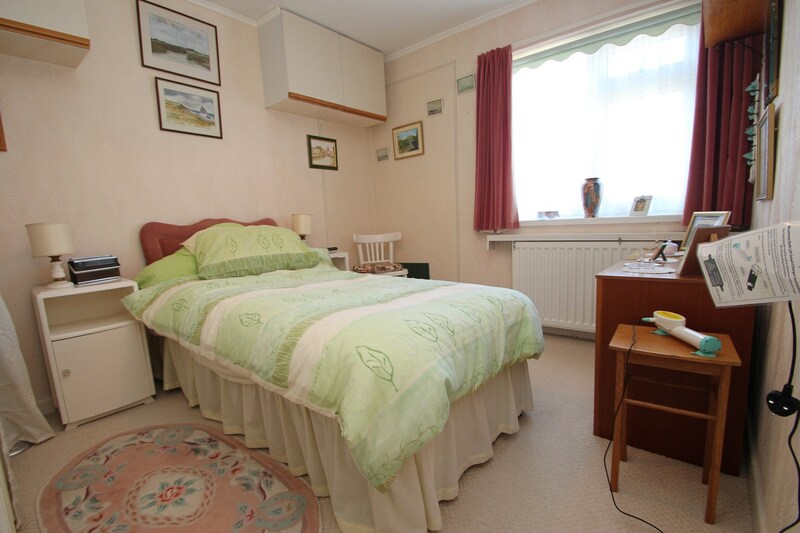 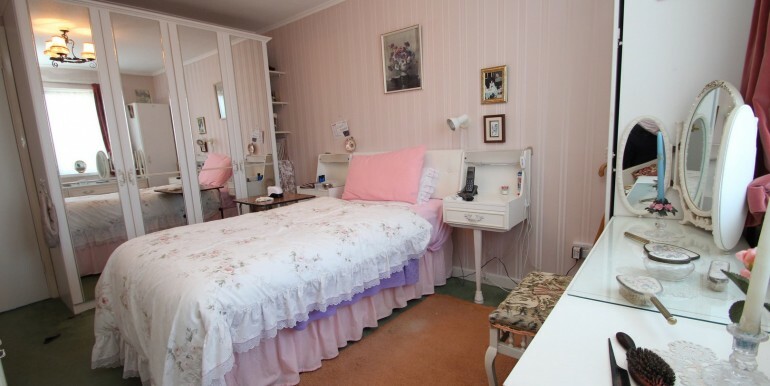 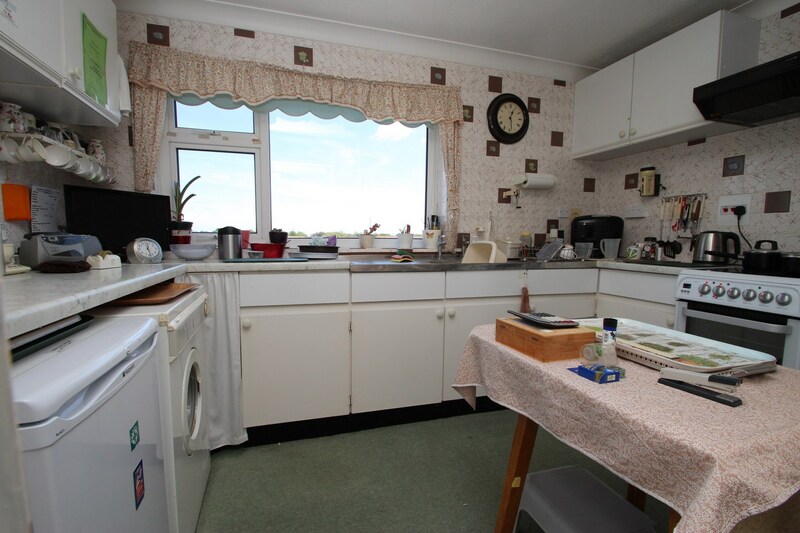 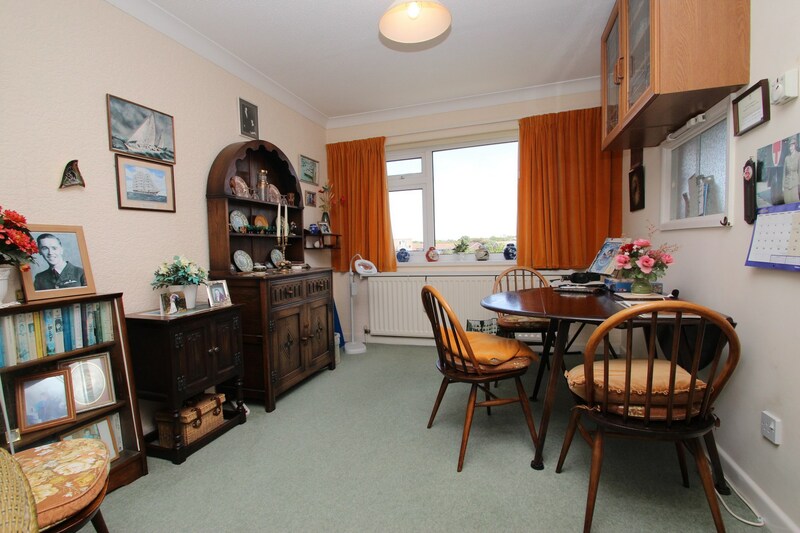 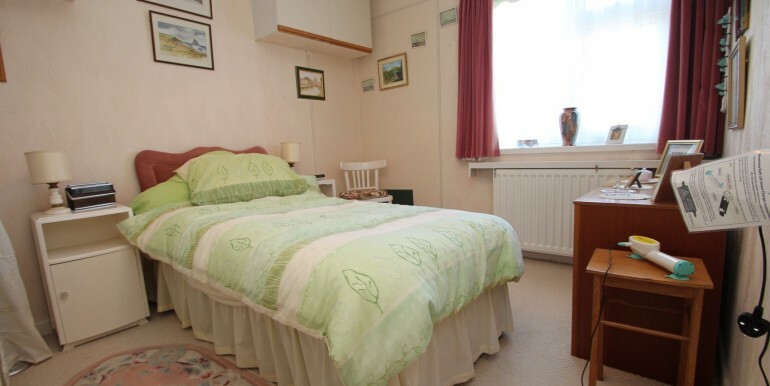 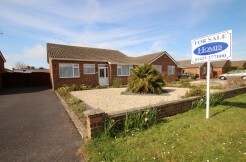 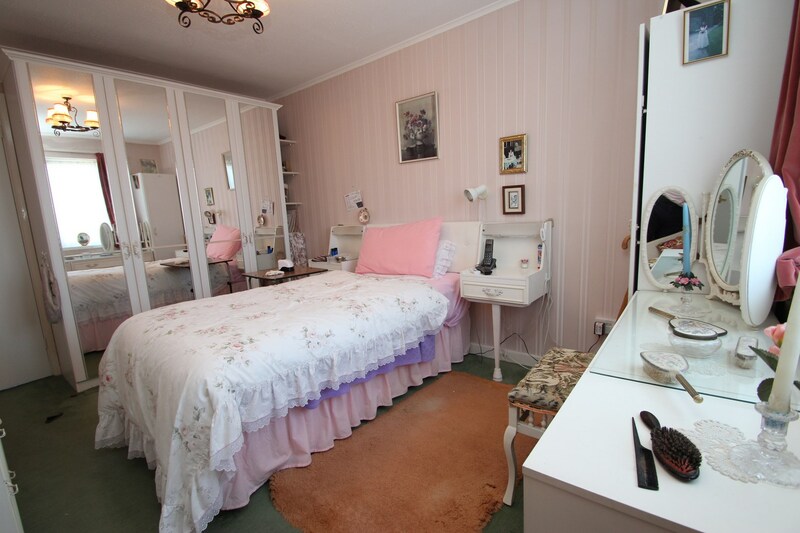 Both bedrooms are good sized double rooms and benefit from built in wardrobes. 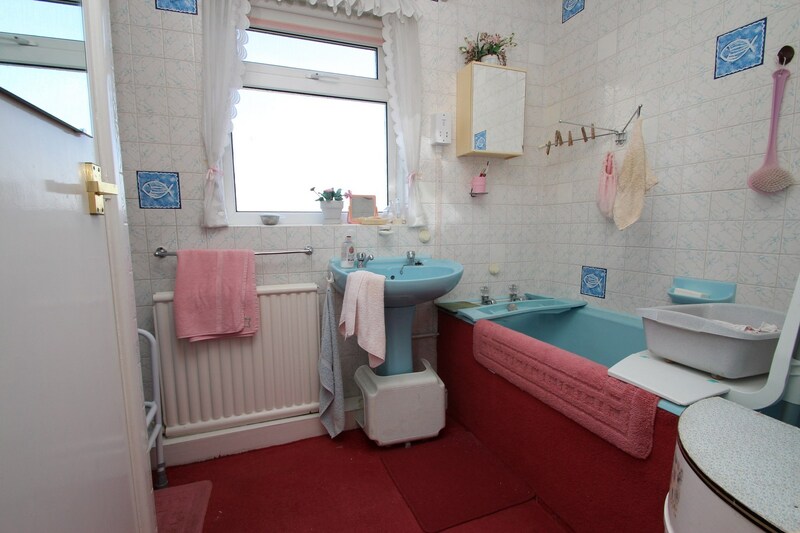 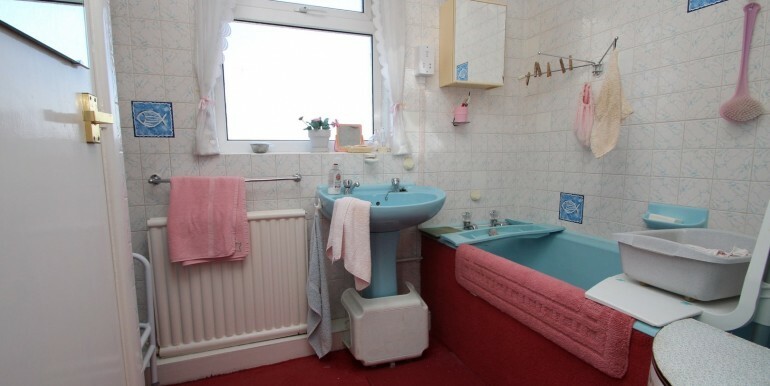 The bathroom has fully tiled walls, paneled bath which has an electric shower over, pedestal wash hand basin, low flush WC and there’s a good sized storage cupboard which houses the hot water cylinder and slatted shelving. 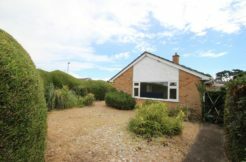 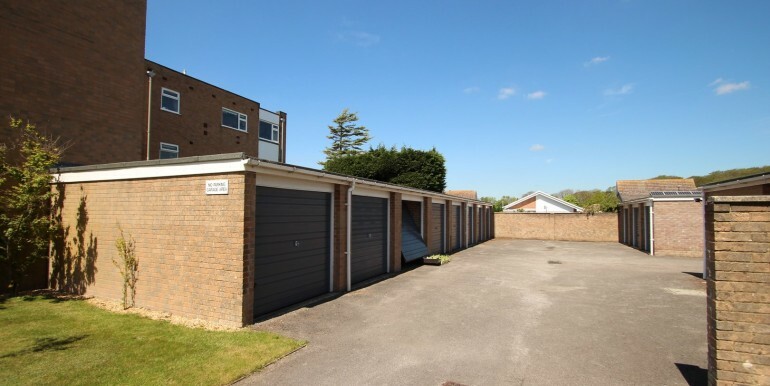 The flats stand on beautifully manicured grounds which are mainly laid to lawn with colourful plants in the borders, a single garage in a nearby block is also conveyed with this property.